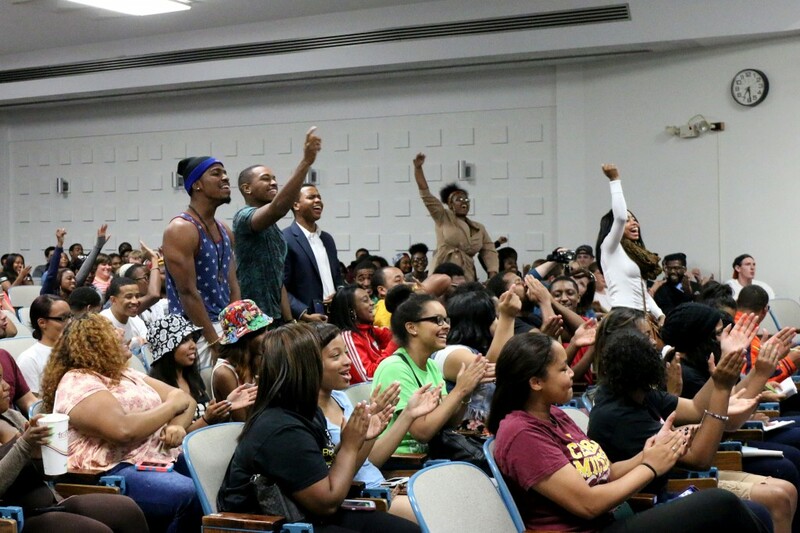 Photo Story: CMU Rap Battle | Grand Central Magazine | Your Campus. Your Story. Central Michigan University students gather for a rap battle Thursday, Sept. 25 in the Bovee University Center auditorium. The battle was part of Hip Hop Week, which included a variety of events leading up to the Ludacris concert on Sunday, Sept. 28. Separator image Posted in Campus Life, Lifestyle and tagged with artists, Campus Life, Hip Hop Week, Hip-Hop, Music, rap, Rap Battle.